Outdoor bench in Java weave designed for outdoor use. Stackable for outdoor use and held in stock for a free and fast delivery. 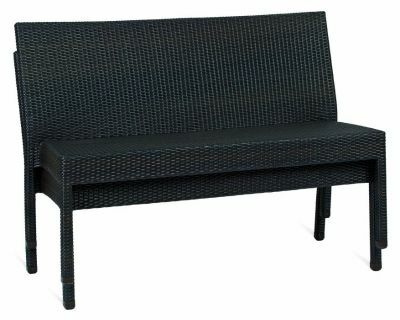 Robust construction two seat outdoor bench that can be used also in commercial applications. Popular with establishments such as Garden centres, outdoor areas of pubs and bars and leisure centres.